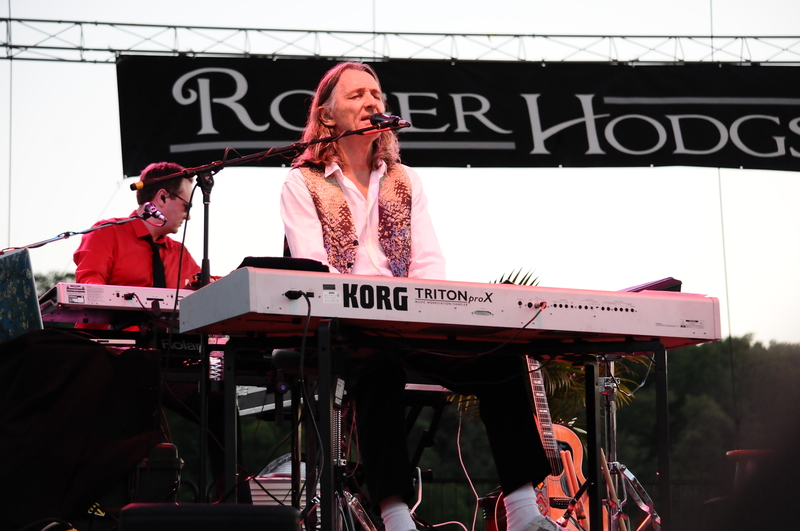 Roger Hodgson, the legendary voice of Supertramp paid a rare visit to Western, New York Tuesday to an adoring crowd that let him know how much they appreciated him with several long ovations throughout the evening. Hodgson brought a full band with him, something he lacked when he last played the Tralf as a solo acoustic act in 1998. One key ingredient was sax and keyboardist Aaron MacDonald who was spot on all night. The night began with the Supertramp classic “Take The Long Way Home”. From there Roger mentioned how it was good to be back in Buffalo as it was one of the hot spots for when Supertramp first broke big in the States. Hodgson was wearing a white shirt and his customary vest and he strapped on the guitar to take the crowd to “School”. The major highlight of the night was “Hide In Your Shell”, as it was the first song to receive an extended ovation and deservedly so. Roger managed to mix in the hits with a sprinkle of songs from both his solo catalog as well as Supertramp. “Lovers In The Wind” from In The Eye Of The Storm was a treat. “The Logical Song” received the loudest ovation of the night as you could tell Roger was speechless and seemed a little stunned at the elongated ovation as he tried to talk over it but waited until it subsided. Ending with “Fools Overture”, a song Roger explained at one point were three separate pieces until one day they molded together into one song. Back for “Give A Little Bit”, Roger motioned one more with his finger as MacDonald started off with the sax and the crowd started swaying to the sweet sounds of “It’s Raining Again”, a song from Roger’s final Supertramp recording …Famous Last Words. An appropriate way to end a fabulous show. While it was not the most attended show on the Artpark schedule, just knowing that Roger rarely performs much with a full band brought out many of the true diehards. Judging from the crowd some folk look as though they may have seen Supertramp back in its heyday. Roger said we’ll have to do this again. Let’s do as this immaculate performance indicates that Hodgson is like a fine wine and has gotten only better with time. Special Thanks to Maria Costello for setting us up to review the show.